The last remaining World Series of Poker gold bracelet winner in the field, Luis Velador has been playing poker professionally since 1997. Before that Velador, who was born in Mexico in 1964 but now resides in Corona, California, worked as a tile setter. 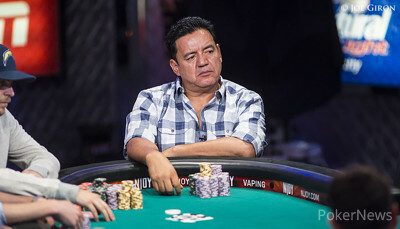 Velador’s first tournament cash actually came in 2000 when he won the $300 Limit Hold’em Championship at the Winnin’ o’ the Green in Los Angeles, a victory that earned him $28,240. 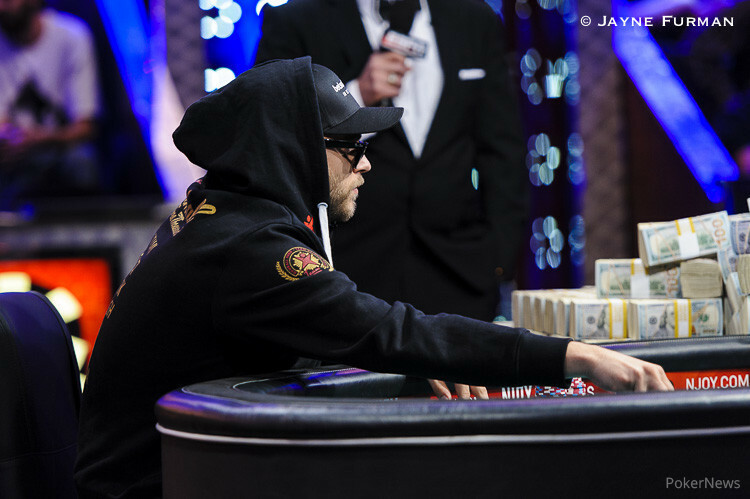 Since then he has amassed more than $1.4 million in tournament winnings, and that doesn’t include what he’ll take home for his 2014 WSOP Main Event performance. Speaking of the WSOP, Velador won his first bracelet in 2008 when he topped a field of 2,304 players to win Event #32 $1,500 No-Limit Hold’em for $574,734. Two years later, Velador captured his second bracelet by outlasting 481 other players in Event #33 $2,500 Pot-Limit Hold’em/Omaha for $260,552. As for his 2014 WSOP Main Event journey, Velador more than doubled his starting stack on Day 1c when he finished with 73,800, which put him 366th among the advancing 2,571 players. He more than doubled that on Day 2, finishing 340th of 1,864 with 165,900, and then he finished the surviving 746 Day 3 players with 380,500, which put him in 167th place. On Day 4, Velador managed to bring his stack up to 1.353 million, which put him 26th out of 291 players. Once again he would more than double that as he finished Day 5 with 3.78 million, putting him 18th out of 79 players. Day 6 is where it was at for Velador though as he navigated his way to the final 27 with 16.6 million, putting him second in chips behind Martin Jacobson. Velador continues to play his game on Day 7 and finds himself a favorite to make the November Nine. Felix Stephensen Eliminated in 2nd Place ($5,145,968); Martin Jacobson Wins!